The multinational sandwich chain, Subway, will be featured in a fourday special miniseries on franchising which will follow Kareemaa Musa, as she joins the Subway franchise. From initial franchise training, managing the store fit out, recruitment of her team, through to the very first day of opening her new store, the series will cover the triumphs and challenges of becoming a franchise owner. SIS Digital involvement can be seen throughout the store fit out, where SIS have and will supply Digital Menu Boards as well as content management systems (CMS) to create an enhanced customer experience. 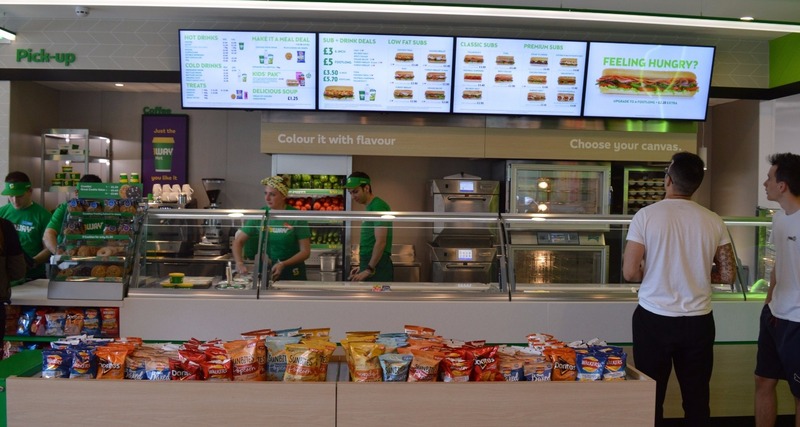 Along with stores within the UK and Ireland, SIS Digital have been supplying and fitting DMB’s across all of Subway’s Fresh Forward stores within Europe.